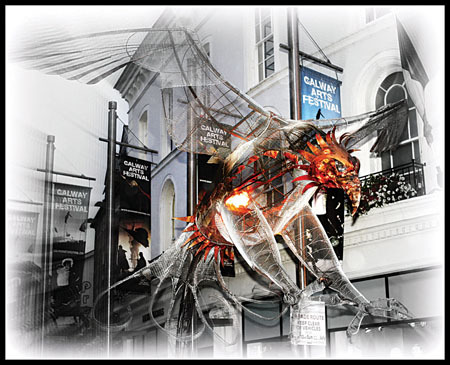 With many shows sold out this year’s attendance at the Galway Arts Festival is well on its way to reaching record numbers proving that not even the recession can keep lovers of the arts away from an event which has gained national and international recognition. Organisers of the two week festival, which concludes this Sunday, have said they are delighted with the turn-out so far. It is expected that audience numbers will exceed last year’s turnout of 162,000. “We couldn’t be happier with the way things are going, most of the shows are sold out or nearly. There are red dots across the board but there are still tickets available,” festival artistic director Paul Fahy told the Advertiser yesterday. Although many shows have sold out there are still opportunities for festival goers to purchase tickets to some events, including the Big Top double line-up of James Vincent McMorrow and Lisa Hanigan which takes place tonight at 7.30pm. There will also be a big day of talks this coming Saturday with tickets still available for Alex Ross who is giving a talk at the Aula Maxima at NUI Galway at 3.30pm on the influence Wagner’s music had on James Joyce. Regarded as one of the leading music critics in the western world Mr Ross is the author of the highly acclaimed book The Rest Is Noise and Listen To This. Saturday will also feature Trailblaze which is a platform to showcase ideas, people, and possibilities alive in Ireland today with pioneers sharing their moments of risk and inspiration. Music lovers are still able to avail of tickets for the much anticipated Comedy and Tragedy concert by the T’ang Quartet which takes place at St Nicholas’ Church on Saturday at 8pm. The programme will involve a live score performance to Buster Keaton’s silent film Haunted House as well as Aulis Sallinen’s ‘Some Aspects of Peltoniemi Hintrik’s Funeral March’ and the Chinese composer Bright Sheng’s ‘String Quartet No.3’. Page generated in 0.2040 seconds.